→What Is The Best Radar Detector Under 100 Dollars? 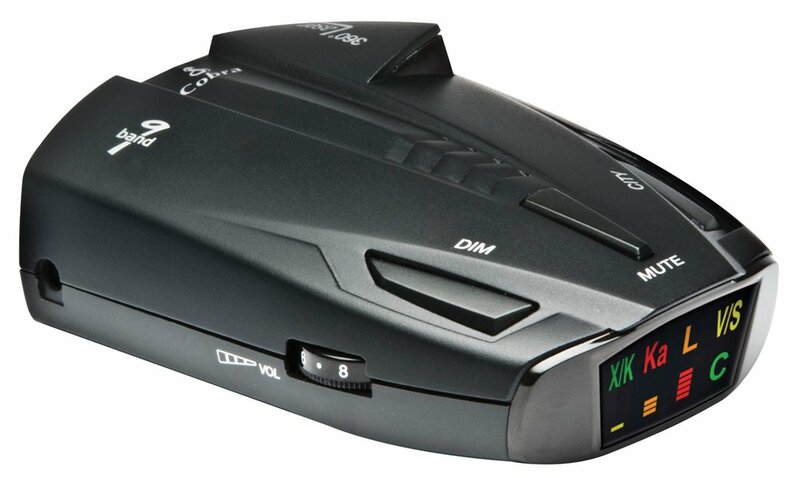 Looking for an affordable radar detector to prevent that next speeding ticket? Cheap radar detectors are a good bang for your back. Although they may not stand up to radar detectors with a higher budget, and most may not be on our list of top radar detectors, it is hard to beat the value that these provide. However, if you have a higher budget check out these ﻿﻿﻿higher quality radar﻿﻿﻿ detectors, as well as our list of some of the best performing ones on the market. 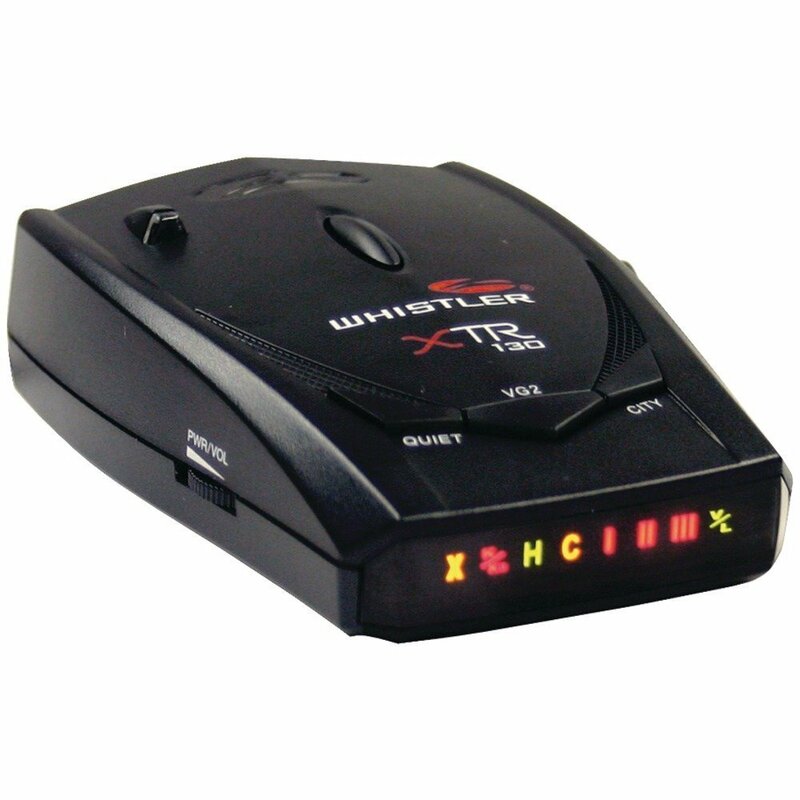 The Cobra XRS9470 offers protection against 14 band radar and laser detector. FCC compliant, the product also offers an innovative voice alert function as well as offering an ultra bright data this play. The XRS9470 is a new and improved compact design that offers high performance with emphasis placed more on details. 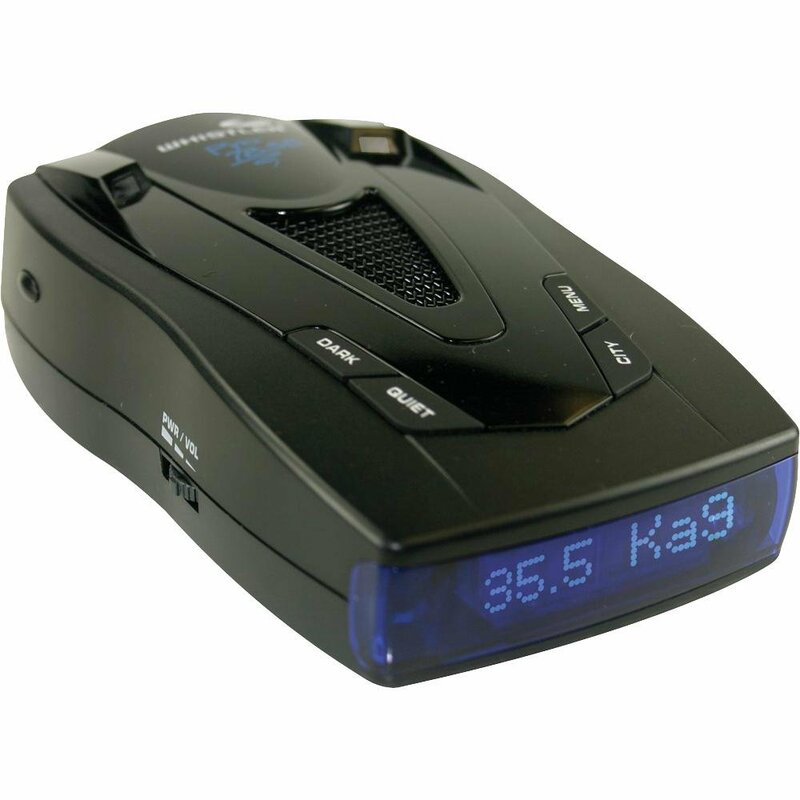 Spectre I and VG-2 Undetectable – This radar detector is completely undetectable by two of the police’s popular radar detect; the Spectre 1 and VG-2. Additionally the Cobra XRS9470 will actually alert you whenever any of those two devices are in use within your vicinity; a simply awesome feature. 14-Band Detection – This is probably the feature I like the most about this device. The XRS9470 affords its users detection of 1 safety signal, 7 radars and 6 lasers. These include the most notorious of radar signals such as the X Band, K Band, Ka Superwide, Ku Band, VG-2, Spectre I and Spectre IV+. 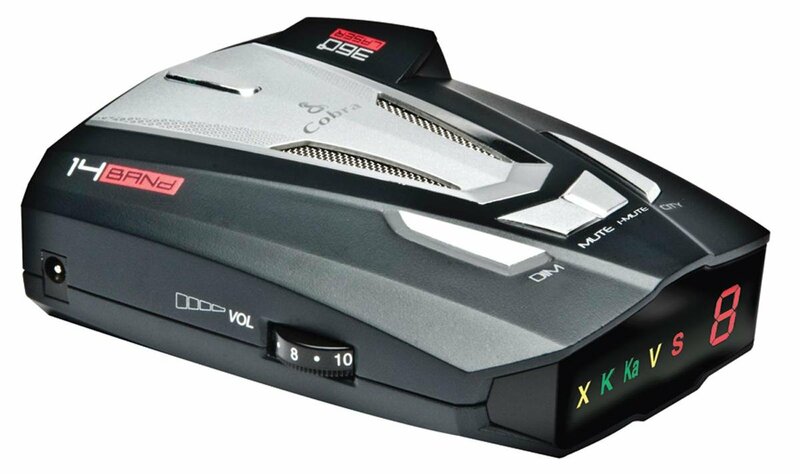 Additionally, the 6 laser signals that the XRS9470 offers detection for the LTI 20-20, Ultra Lyte, ProLaser, ProLaser III, Stalker LIDAR and Speed laser. Whilst the safety signal detectable is the Safety Alert. IntelliMute Pro – This feature actually automatically shuts down and makes your radar undetectable by radar speed detectors currently available on the market. Auto Mute and Intelligent Mute Convenience – This features allows the user of the XRS9470 to enjoy a unique new feature that allows you to avoid alerts that you do not necessarily need to hear just because you have stopped or are now moving slowly. Hence the IntelliMute automatically reduce the audio volume of all alerts after four seconds for as long as the signal is detected and you have heard it once. 3 City Modes/Highway Mode - The Highway mode offers you complete visual and audio warning of laser and radar systems while maintaining full sensitivity. This default setting helps the driver to reduce those annoying burglar alarms and automatic door openers that are usually found in cities. This provides an initial alert, after which it remains quiet only returning when the strength of the signal received becomes very strong. When this happens the unit will then briefly alert you to notify you of the change in signal strength. Additionally, the device offers three filter modes that reduce false alerts caused from other radar detectors. Quiet & Auto Quiet Modes – The XTR-130 also comes with this feature that enables the device to go quiet when pressed before a signal is detected. This feature automatically reduces the audio level after the initial warning, to a lower audio setting level. Enabling this mode during a radar/laser encounter not only silences the audio alerts, but it also permits the driver its visual alerts that keep you informed. VG-2 Detection Mode – This feature enables the device provides the device with the ability to go undetected from this special receiver used by police that detects the radiation emitted from an incoming car that maybe using a radio detector. Patented by Whistler, this cloaking device is a really welcomed feature. Alert Priority – This feature actually prioritizes the signals received when picking up more than one signals at a time. Computer programmed by order of Laser, VG-2, Speed Radar, Safety Radar; the device will switch to VG-2 signal suddenly, even after it has detected an x band alert, hence the VG-2 warning will override the X band alert. Vehicle Battery Saver Mode – This mode automatically shuts down the vehicle after 3 hours of use. This feature assumes that you have forgotten to turn off the device after stopping and as such promptly acts in this manner. Additionally, the timer on the device is reset whenever the detector is turned off, unplugged or if any of the buttons is pressed before the 6 hours have expired. Of importance is also the fact that the device will alert you with an audible as well as a visual warning before it shuts off. Safety Warning System—SWS – This feature, whilst is not really for speed detection, is a welcomed feature as it s used to keep you informed of highway safety. This feature makes you aware of make you aware of various situations that may require your attention, Situations such as: ambulance vehicles that maybe moving or are or stationary, various road hazards that are ahead, road construction delays or various detours, amongst others. • Spectre I Undetectable – This feature offers the user complete invisibility to the much revered Spectre I radar detector-detectors. • VG-2 Undetectable - Additionally, the ESD7570 9 offers complete immunity as well to VG-2 radar detector-detectors. • Ultra Bright Data Display – The ESD7570 9 also offers ultra bright display that gives easy recognition of the particular band detected by using band identification icons, thus making it simple and clear for the driver. • City/Highway Modes – In addition the device allows the user to select the particular operating mode, thus reducing the frequency of false alerts in densely populated urban areas. This will no doubt reduce the annoyance that tends to cone from doorbells etc. • Signal Strength Meter – The device also provides the user with relative proximity to the target giving greater interaction and clarity as to the distance of the detected radar. • Safety Alert – Additionally, the ESD7570 9 will warn drivers of the presence and as well as if there are any approaching emergency vehicles, impending railroad crossing, and various road hazard locations that is equipped with Cobra's exclusive Safety Alert transmitters. This is also a welcome addition to the device’s features. 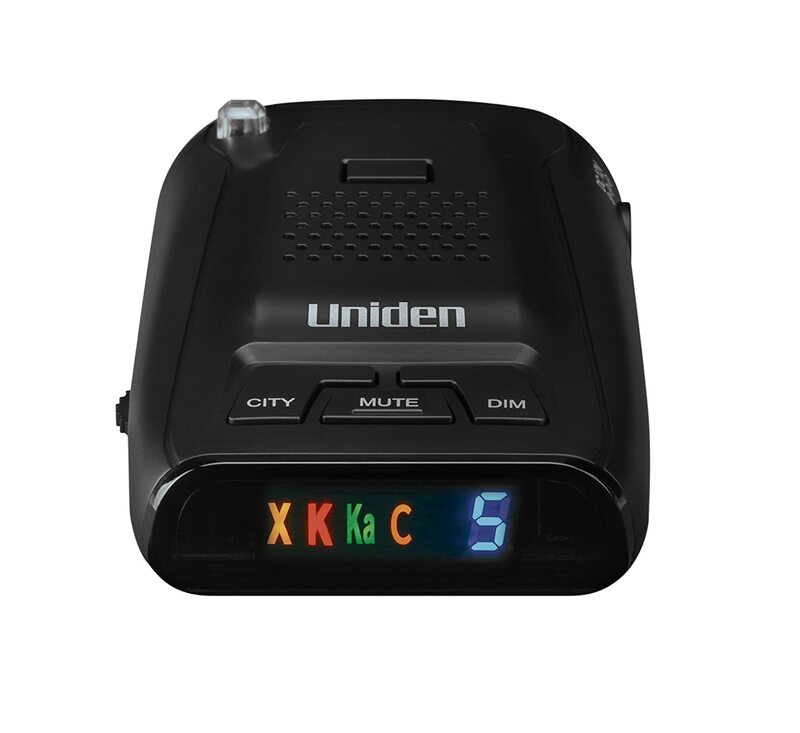 The LRD450 is a long range radar detector that detects emissions from radar guns and then gives off audio sounds alerting the driver of such signals. Capable of determining which band range the signal is from the LRD450 offers protection against such band ranges. Priced at a medium price point, the Unilad LRD450 is an effective device that provides the basic functions needed to avoid having to pay ticket fines. The display is able to show which band range the signal is from whether (X K Ka or L); as well as showing the frequency strength represented by numbers 1-5 depending on the strength of the signal. The device is also able to show any particular specific code, if such a code is available. Additionally the LRD50 uses two different modes for highway or city use with the voice announce feature relaying to you the unit status as this changes. Blue Text Display – This feature offers you text displays in a clear way. In this display you are able to get confirmation of the signals detected, signal strength as well as the engaged modes of operation. Filter Mode – This feature essentially protects against false alarm. So the filter mode basically checks the signal’s it receive and then verifies if it is legitimate police radar or a false alert from another detector. The whisper also has a 3 city mode/highway mode. What this feature does is that it allows the users to differentiate and set the radar and thus reduce the annoyance of automatic door openers and burglar alarm alerts by providing when driving through urban areas. Auto Dim Mode – This feature is one of convenience as it automatically switches the contrast of the text display based on the lighting quality that is around you at any given moment. Real voice alerts – This feature allows the user to keep their eyes on the road whilst driving. What this feature will do for you is that it actually sounds off a real voice alert whenever it identifies a band, is issuing safety warning system messages, or to select a particular feature. Again this is added convenience. Vehicle Battery Saver Mode – I like this feature as the system actually automatically shuts off within three hours as it might be that you forgot to turn off the system.